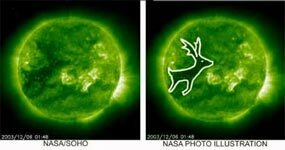 Flying as quickly as he could around the planet Krypton, Rudolph tried his best to reverse time. Was it to undo the fatal tiger mauling of his sweetheart Vixen? No nerd was ever going to outbid him on ebay again!